Good, Evil... and Holiday events! Get your gear on! 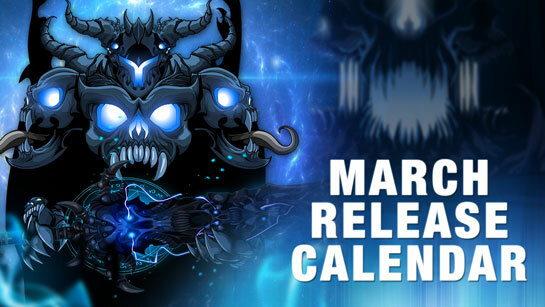 Log in all month long for Evil gear, great rewards, and a double holiday event; we're celebrating Dage the Evil's birthday, a new ShadowScythe update release, plus the return of the Lucky Day Fair and Carnaval holiday events! A dark surprise or two? !